I've just posted a brand new photography challenge at Deco-Pages.com. Runs through Oct. 31st, 2007. Be sure to read all the details, rules, and requirements. 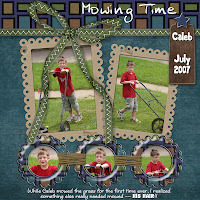 Anyone who participates will get these 2 free quickpages (minus my photos and text ;) ) -- These were created using my new kit - Boy Wonder -- click the images to see the full size page in the Deco-Pages.com gallery. Well the kids are in bed, and I thought... HEY, I'm on a roll with the blog, so why not go ahead and post these tonight. So here are the flowers I have been working on... These flowers match one of my new kits called -- The Way Things Were. Please leave a little love after downloading. 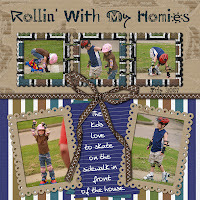 Well I just got a header graphic finished for the blog... Yea! I like the way it turned out, and had fun using my new flower action. 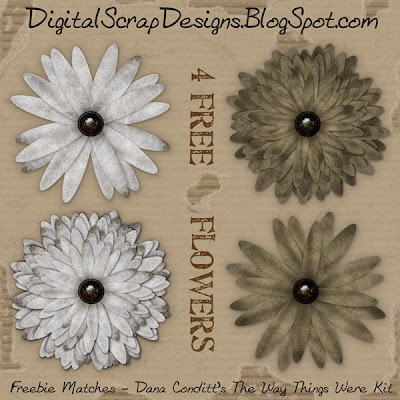 I hope to have a freebie (some flowers with my new commercial action available at Deco-Pages) posted tomorrow, so if anyone has been dropping in... (lol, I can dream right???) then there will be something to finally snag. Weekends seem to be when I have the most free time, so I hope to get into the habit of posting freebies on Saturdays. Well enough playing around for the night, off to get kids read to and in bed for the night.